Metro Manila was covered with lashing, umbrella-bending rain, but it was not enough to keep us from checking a Pancit Batil Patong place we saw on Facebook. 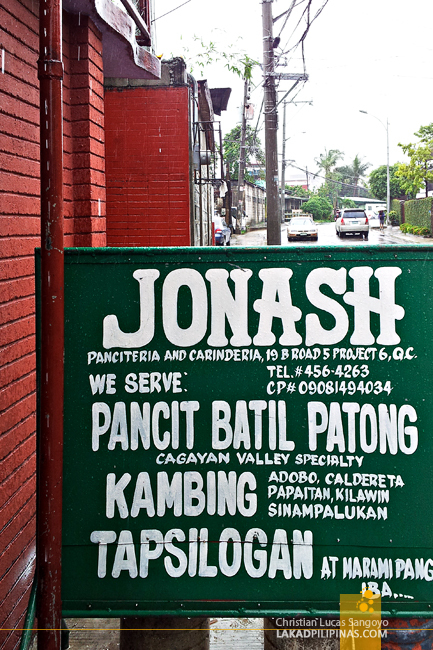 Tucked at an unknown street deep in the heart of Quezon City, we braved the flooded roads and risked breaking our umbrellas; we simply got to know if Jonash Panciteria and Carinderia offers an authentic version of our favorite noodle dish from Tuguegarao City. It wasn’t hard to find the place, although I had to walk some minutes from the KFC at the corner of Roosevelt and Mindanao Avenue amidst the roaring rain; there simply was no other way to go at the said panciteria. Taxi is of course not an option for me. 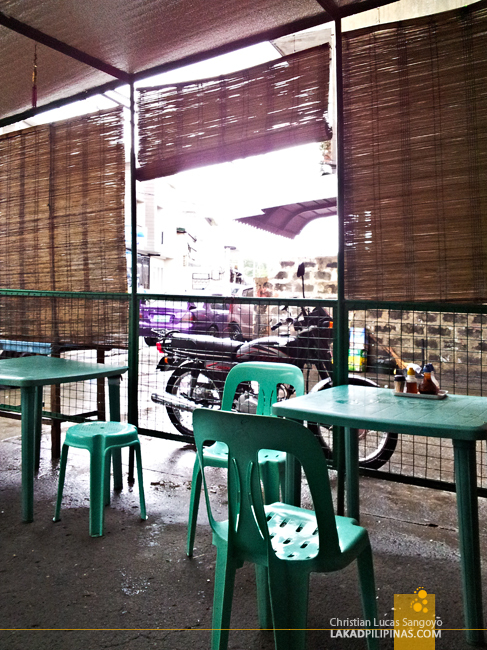 Jonash Panciteria and Carinderia is a simple enough affair; green plastic orocan chairs and tables outside, beige plastic orocan chairs and tables inside. It is a carinderia, plain and simple. Outside the eatery, a metal sign announces its name across the street, you definitely won’t miss it. Besides the famed Pancit Batil Patong we came here for, they also serve the usual silogs and ready-to-eat viands for rice meals. 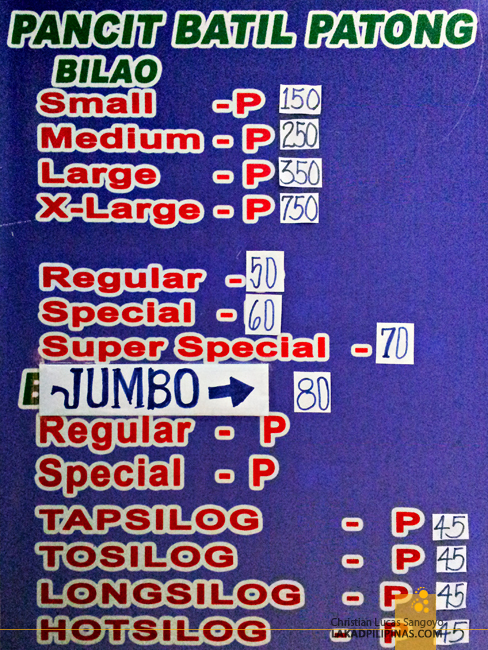 From their menu, one can easily guess that the guys running this carinderia came from north of the Philippines. 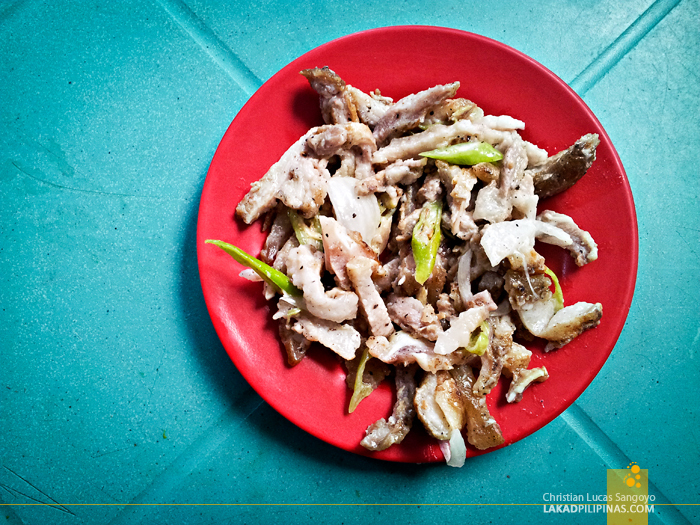 Before the main event, we decided on ordering a plate of Dinakdakan (Php35.00) which we unfortunately found to be a bit on the bland side. Jonash’s version of the Tuguegarao noodle dish comes in four sizes; Regular (Php50.00), Special (Php60.00), Super Special (Php70.00) and Jumbo (Php80.00). While the only difference between the first two is simply its serving size, the Super Special has an added crushed crispy kropeks sprinkled on top. The Jumbo one is just the larger version of the Super Special. There was a bit of confusion regarding our orders, and instead of having the Super Special Pancit Batil Patong, we were served with their Special, which is one less super than what we were expecting. No crisps for us then. The thing that I immediately noticed after they plunked down the pancit on our table was its sauce. It seemed a bit overflowing, which is really not the case with the Pancit Batil Patong place I’ve tried in Kamuning. And as far as I can remember, in fact I do remember it well, the ones in Tuguegarao doesn’t have a soup-like sauce at all. Then there were the noodles which are of the flat type. I asked one of the guys in Jonash about it, and they did confirm that their noodles did not come directly from Tuguegarao City, rather from a local market. But true to form, their Pancit Batil Patong has its accompanying egg soup and onions on the side. The meat, they said, was carabeef. 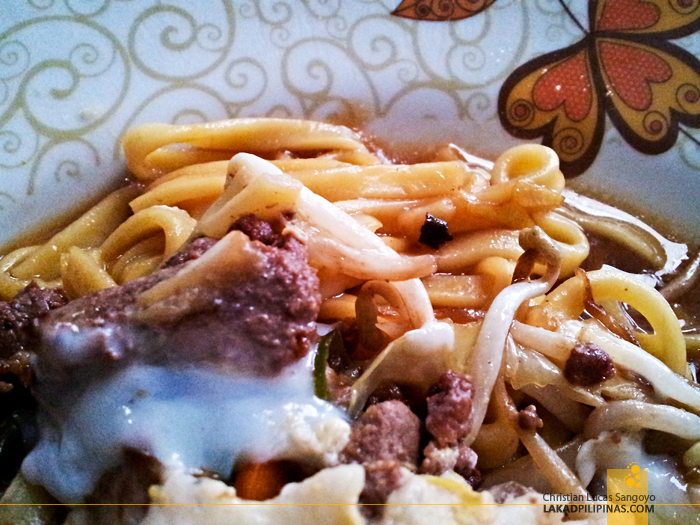 The egg or patong looked like it wasn’t stirred while being poached, in contrary to what is usually done with this dish. But like the Pancit Batil Patong in Muñoz, there were togues (bean sprouts) mixed in with the noodles, which is a plus for me. 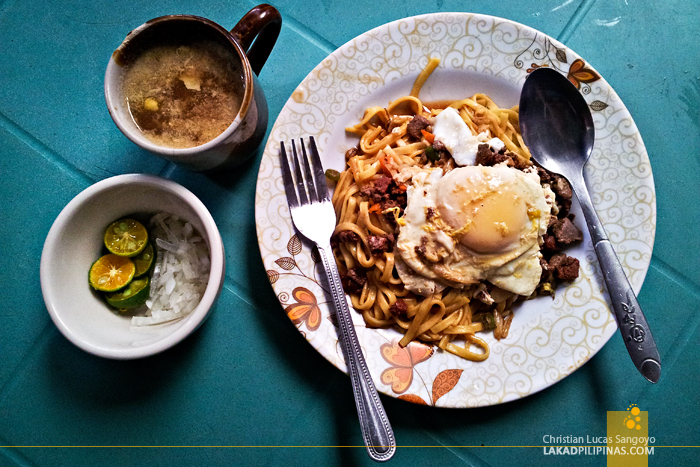 With all these observations and components mixed in, I guess you could guess how we found Jonash’s version of this pancit; a very pale ghost of its original counterpart in the province of Cagayan Valley. On its own, without comparing it to its origin, it is good enough though. And in all fairness, I actually liked this one better than the one being served at Mandaluyong’s Pancit Center. 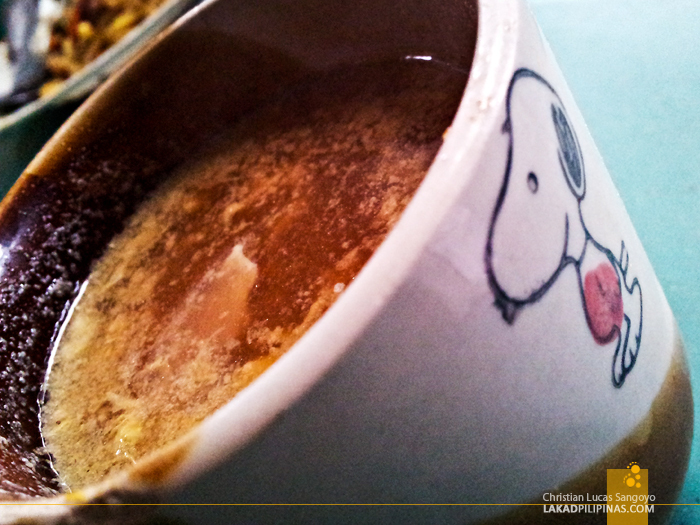 The only thing that I really found authentic-tasting about it is the soup or batil. 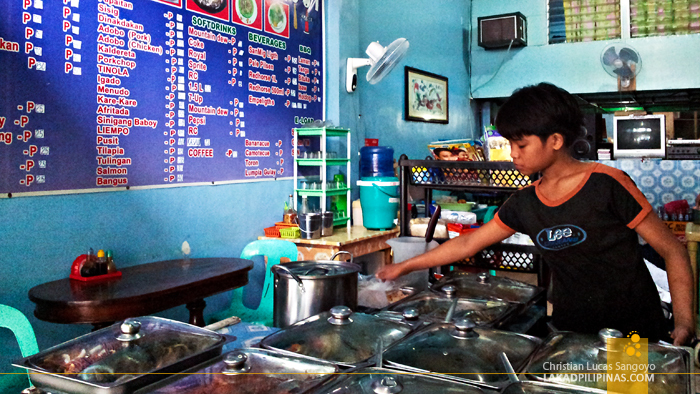 But a good batil is just isn’t enough to complete the full Pancit Batil Patong experience. 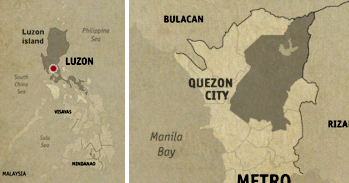 What about this place on Quirino and Angel Linao? Might be worth the trip. 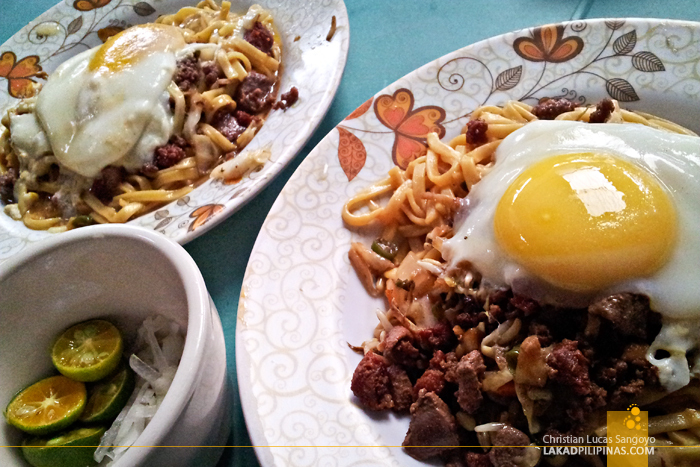 Try Weng's Pancit Batil Patung in Del Monte Ave, Qc (back of Petron West Ave). 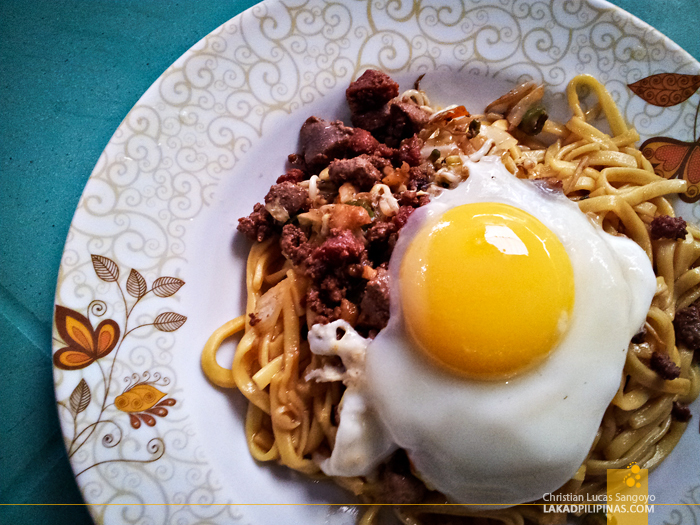 It's authentic Pancit Batil Patung! !